I was the King of Black Friday. I never really bought much, but I loved it. I would go out into the crowds and smell the Christmas spirit. I would drive for miles, alone, listening to Christmas music and stop at random stores to drink in the scene. The lights, the decorations, the cheer. 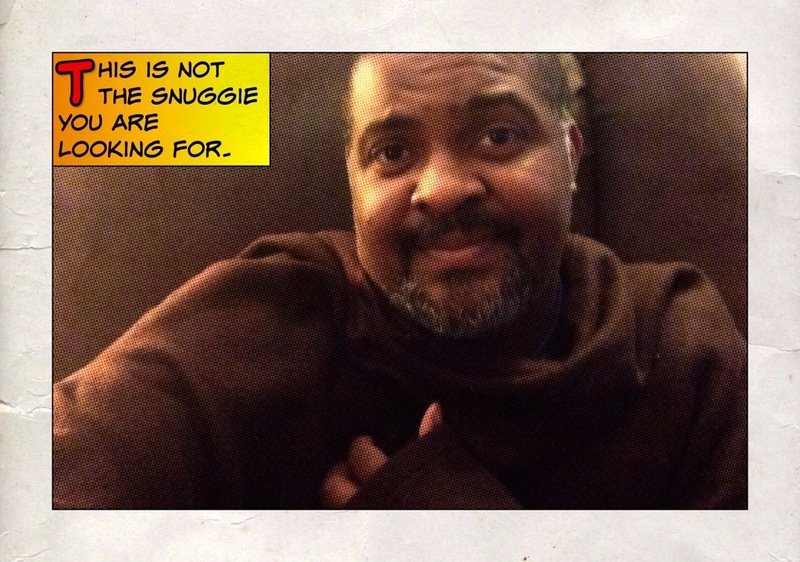 And then a generic snuggie ended it all, but I’ll get to that in a moment. About 4 years ago, I made my last Black Friday run – with my mother. We had a list of stores that we generally did not follow. On the list was Menards. They had generic snuggies for $4. Wait, why was I buying generic snuggies? You see the school building I work in sometimes has great shifts in temperature. I thought it would be humorous to purchase several for my hallmates and I to have during the trying times of winter. Okay, fine. I’ll admit it. I wanted a freaking brown generic snuggie so that I could walk around school and pretend that I was a Jedi Master. There. I said it. As all Black Friday shoppers know- you have to have a strategy. So my mom and I huddled. She suggested that I go ahead and locate the generic snuggies and procure our count (7 – limit was 8) and she would follow. Then the doors opened and I found myself being whisked in by the flood of humanity. I’m not a small guy (middle linebacker size), so my attention was then to make sure that my mom didn’t get trampled and that I didn’t trample someone else’s mom. I might have been the only man in line. At any rate, the mob proceeded down the main aisle in what I can only assume resembled the beginning of the Hunger Games race to the cornucopia. Only instead of weapons we were gathering gifts. My mother waved me on, so I continued. The generic snuggies were hidden in the aisle with air ducts. There were two pallets, each with two large cardboard boxes filled to the brim with Jedi robes snuggies. I think I heard someone shout “GET THEM!” And that was all she wrote. That morning I learned that you can’t be tentative on Black Friday. You can’t wait. You have to move, act, or you will get shoved. In my case, I got shoved into a box of generic snuggies. It may not have seemed the most appropriate place to contemplate your life choices, but I did, momentarily, consider exactly where I was in life- I was holiday rock bottom. Face down, blue jean sitter up, in a box full of generic snuggies avoiding the clutches of all the “holiday” shoppers. Somehow I doubted that is how the three wise men procured their gold, frankenstuff, and myrrh. Somehow I doubted that any of these people could be on Santa’s “Good” list. Somehow I doubted that this was Christmas. And right there, in the bottom of the snuggie box, with my bottom facing the heavens, I decided. I was done with Black Friday. I clutched the 7 snuggies (limit was 8) I was able to procure. And with John Lennon’s “So this is Christmas” playing in my head, I walked past the muted screaming faces of want, gluttony, and greed. I paid for my snuggies, waited for my mom, and we walked out the door of contrived Christmas. And on Monday I pretended to be a Jedi, complete with toy lightsaber, and all seemed right in the world. Or at least a little warmer in my room. I think this post proves that wisdom comes to us in different ways – even the bottom of snuggie box. Thanks, Larry! I hope the season is good to you and yours as well! Bahahha I love this story.